Discussion in 'Buckeye Football' started by ScriptOhio, Feb 19, 2018. Whether Trevon Forte’s upcoming career is within the sport of football or outside the sport of football, his time as a walk-on at Ohio State will have played a key role in preparing him for what’s next. As a member of the Ohio State football team for the past five years, Forte participated in only five games. The impact the program has had on his life, however, extended far beyond that occasional playing time. "Coming to Ohio State turned me into a grown man, just by the values that they instilled in me," Forte told Eleven Warriors in an interview last week. "I came here as a 157-pound boy and left as a 186-pound man. They taught me to be accountable for myself, show up on time and if you want to achieve something in life, you have to work for it." Coming out of Cardinal Mooney High School in Youngstown in 2013, Forte could have opted to attend a smaller school, where he likely could have seen much more game action on the football field. But Forte decided to take advantage of an academic scholarship and walk on at Ohio State. The 5-foot-8 cornerback’s only playing time came on occasional special teams snaps in lopsided games, but he had a more significant role in practices, where he – like most walk-ons – spent most of his time on the scout team, helping prepare Ohio State’s offense for each game, but also filled in on the Buckeyes’ defense when necessary. While Forte’s on-field career might not be remembered or even been noticed by most Ohio State fans, he considers his career as a Buckeye to have been a success. "All the coaches here know that I went out and I competed at a high level against the top recruits that they brought here, and I always used motivation as far as not being seen as a walk-on when I was here," Forte said. "I wanted to be able to, if a guy came in, he would not be able to decipher me as a walk-on here. So I wanted to play at that level, and I feel like I did a good job in that." 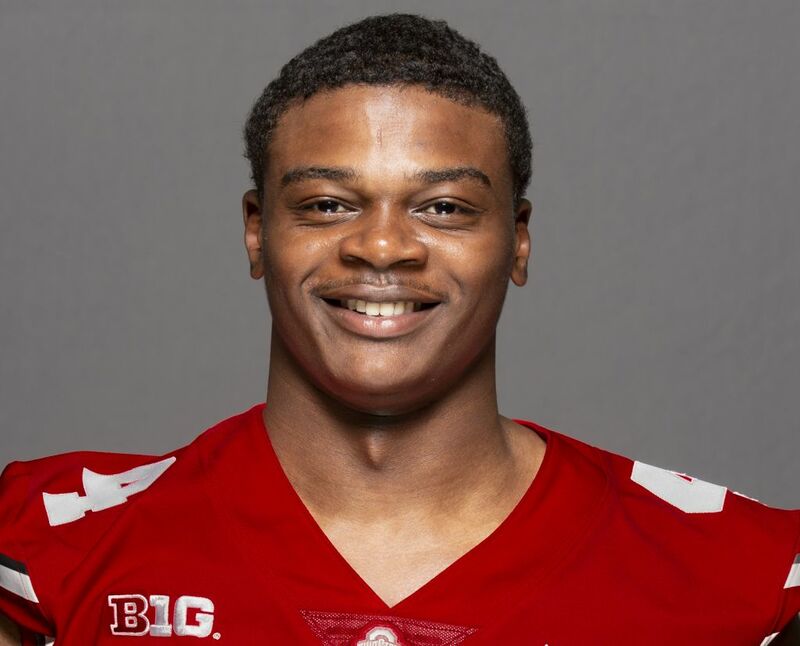 With experience under his belt that included filling in for eventual first-round NFL draft picks at cornerback like Eli Apple, Gareon Conley and soon-to-be-drafted Denzel Ward, but also lining up against Ohio State wide receivers who have or could soon go on to the NFL, Forte plans to participate in Ohio State’s pro day on March 22 in hopes of earning his own opportunity to play at the next level. "I grew up playing football all my life, and I’ve always been a competitor, and the way I see it, if I can compete at a high level against these receivers at Ohio State who end up going to the next level, I can compete against anybody," Forte said. Forte also wants to set a positive example for his family. "Coming from Youngstown, Ohio, it’s not the easiest place to live, and I have four younger brothers that I wanted to be a good role model for," Forte said. "I want them to take away from (what he has accomplished) that there’s always going to people who doubt you, but you should use that and turn it into a positive motivation. So you should go about all means to prove your doubters wrong, and don’t ever let anybody tell you that you’re not allowed to dream and that your dreams won’t come true, because if you work for it hard enough, then there’s always a possibility." kujirakira, colobuck79 and ShakerBuck like this. LitlBuck, colobuck79 and brodybuck21 like this. Nick Seme thought his football career was over when he transferred to Ohio State from Ashland University in 2014. Three years later, however, Seme ended up having the opportunity to play for the Buckeyes, and now, he is working with Ohio State’s strength and conditioning staff and training for a potential shot at the NFL. After suffering a shoulder injury in his first year at Ashland, Seme decided to hang up his cleats and transfer to Ohio State to focus on academics. Going into his final year of NCAA eligibility, however, Seme got the itch to play football again. So when Seme saw last January on Twitter that the Buckeyes were holding open walk-on tryouts, he decided to give it a shot. The Wadsworth, Ohio native ended up making the team, giving him the opportunity to fulfill a dream of playing for the team he grew up watching. "It's been definitely a crazy experience," Seme told Eleven Warriors in an interview this week. “Because last year around this time, I wasn't on the team, I walked on and didn't really know what to expect from the experience and the journey. But everything from being with the guys, friendships on and off the field, trust from the coaches, respecting the coaches, it's been more than I could have dreamed of, honestly. To have myself and my family, my friends a part of it too, I think that's a big thing, to kind of live out this dream of mine. I can't really put it into words, but it's been great." While Seme didn’t see much action in actual games for the Buckeyes, playing only 12 total snaps from the back end of Ohio State’s loaded defensive end depth chart last season, he nonetheless got the full experience of being an Ohio State football player – from practicing with the team every day to being honored on Senior Day – and made a significant impression on his coaches and teammates in the process. "He’s more valuable than some of our scholarship guys," Ohio State coach Urban Meyer said of Seme on his radio show last November. Seme, who was nicknamed "51 Savage" by his Buckeye teammates (because he wore No. 51), said he knew he had earned the respect of his teammates and Ohio State defensive line coach Larry Johnson after a scrimmage last spring in which he was on the field for 30 plays in a row. "I get off the field and Coach Johnson, I'm like trying to barely stand up, but he comes over, calls me after and we're all in the huddle together, and not that I felt like I was ever left out but I felt like I was finally kind of accepted, because he's like, 'You know what you just did, right?'" said Seme, who also recalled that Johnson would not allow him to call himself a walk-on. "And guys are watching me and going and going, and I didn't realize it in the moment, but it's definitely where guys came up to me and it was definitely kind of like a – that and getting my (black) stripe off – it was like a rite of passage." Seme also made a significant impression on Ohio State’s strength coaches, significant enough that he landed an internship with the strength and conditioning staff this spring, enabling Seme to remain involved with the football team while he completes his final semester at Ohio State before earning his degree in exercise science. With a career goal of eventually becoming a physical therapist for a football team, like the role Adam Stewart currently holds for Ohio State, interning with the strength staff has been a valuable opportunity for Seme to gain behind-the-scenes experience in working with athletes and helping them prepare their bodies to play the sport. Seme has already been accepted into the physical therapy program at the University of Dayton, where he is set to begin his graduate education this fall. First, though, Seme plans to take his best shot at playing in the NFL, an opportunity he hopes to earn when he participates in Ohio State’s pro day next month. While Ohio State asked Seme to play defensive end, a request that he certainly didn’t want to turn down, he plans to work out at pro day as a fullback, believing he would be best suited to play on the offensive side of the ball at the next level. “I know that's kind of a position that's used sparingly in the NFL, but it's something where I definitely, I wouldn't limit myself to that, but it's something where I feel like in terms of my size and my speed and just kind of my skill set, I think that would be a great fit,” said Seme, who is 6-foot-3 and is currently leaning down from 255 pounds to closer to 240 pounds. 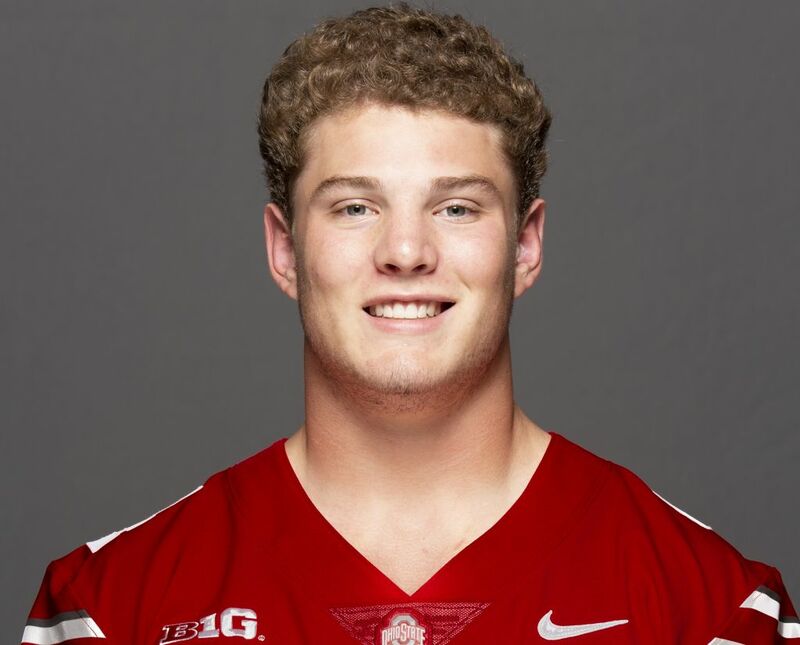 Seme says he is confident in both his pass-catching and his blocking ability – even though he didn’t get the opportunity to demonstrate either in game action as a Buckeye – while he is also working on long snapping as well, in hopes of making himself more marketable by showing the versatility to play multiple positions. "At the end of the day, I'm not going to say no (to any position)," Seme said. "That's just kind of how I've been taught since I was young, and taught since I was here, just always be ready for whatever it is that you're asked to do." Bestbuck36, kujirakira, TS10HTW and 1 other person like this. A pair of Buckeyes had their black stripes removed on Friday, signifying their fully-accredited membership onto the Ohio State football team. The annual rite of passage is more symbolism than a hard-and-fast rule, but no Buckeye wants to have that black stripe on his practice helmet any longer than he needs to. On Friday, it was a pair of second-year players who were finally free of the scarlet letter of the black stripe. Defensive lineman Aaron Cox was the first to have his stripe removed, followed by receiver De’Shawn White. Both players walked onto the team prior to the 2017 season. Denzel Ward is now a member of the Cleveland Browns, while Billy Price, Sam Hubbard and Chris Worley are now members of the Cincinnati Bengals. 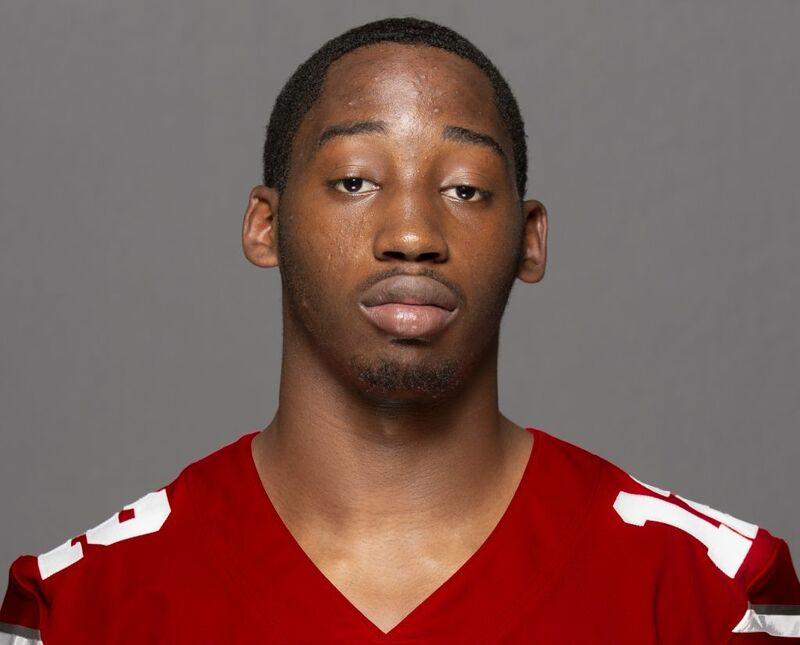 One other member of last year’s Ohio State football team, however, had the opportunity to try out with both of the state’s NFL teams earlier this month. 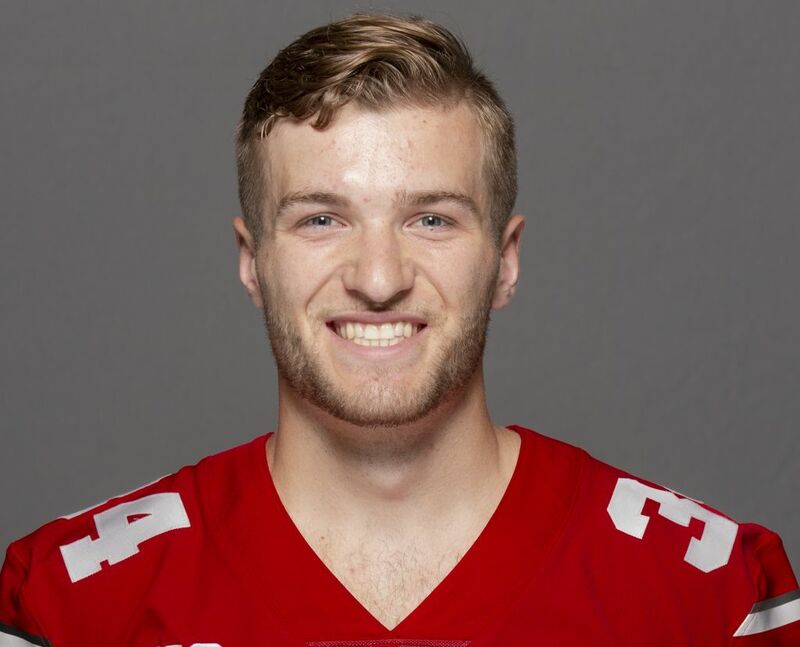 Nick Seme, who walked on to the Buckeyes last season as a defensive end, participated in the Cleveland Browns’ rookie minicamp earlier this month as a long snapper. One week later, Seme traveled down Interstate 71 to the opposite end of the state, where he snapped at the Cincinnati Bengals’ rookie minicamp. Seme, who initially thought his football career was over when he transferred from Ashland University to Ohio State in 2014, described the opportunity to participate in those minicamps as "a dream come true." "First and foremost, I’m grateful for the opportunity," Seme told Eleven Warriors. "To get the chance to go to these organizations and being able to kind of showcase my talents, showcase my skills and kind of just, as they say, leave it out on the field and kind of let them decide what goes on from here on out." Whether Seme will have the opportunity to continue his football career from here, however, remains to be seen. Although the Browns and Bengals each gave Seme the chance to compete at their rookie minicamps, neither team has offered him a roster spot as of yet. Seme plans to continue training, though, with guidance from Ohio State assistant strength and conditioning coach Quinn Barham, with an eye on potentially landing another opportunity when NFL training camps open in July. In his tryouts in Cleveland and Cincinnati, Seme said he wanted to show that he was competitive, coachable and a great teammate, and he felt like he did. That said, he also said he learned new things about being a long snapper – things that he wasn’t aware of before the minicamps – that he can now work on to improve at the position. "After these two camps, I’m aware of kind of what I need to work on and what I need to do to not only make a spot on a roster, but to keep it," Seme said. "So it’s kind of something now where it’s not so much about knowing what to do, it’s moreso just kind of covering my bases and keeping in shape, so if a call comes, where I can kind of step into that role and understand what it takes." Nick Seme had the opportunity to demonstrate his long snapping ability at the Cincinnati Bengals' rookie minicamp earlier this month. While he went unselected in last month’s NFL draft, Seme’s Ohio State ties played a key role in landing him the two rookie minicamp invitations he received. Before the draft, Seme had the opportunity to work out at the Browns’ pro day for local prospects, where he showed enough long-snapping ability – despite never playing the position in a collegiate game – to earn another tryout after the draft. At Ohio State’s pro day, meanwhile, Seme had the opportunity to work out with Bengals assistant special teams coach Brayden Coombs – the son of former Ohio State cornerbacks coach and special teams coordinator Kerry Coombs – and impressed him enough to get an invite from the Bengals, too. "The long snapper shows ability," Bengals head coach Marvin Lewis said after the first day of their rookie minicamp, "and we have the chance to evaluate him and get to know him." brodybuck21 and TS10HTW like this. Former Ohio State walk-on Nick Seme is getting another opportunity to try to earn a spot on an NFL roster. Seme told Eleven Warriors on Monday that he has been invited to participate in the Cleveland Browns' three-day mandatory veteran minicamp, which begins Tuesday. After playing one season for the Buckeyes as a defensive end, Seme is working toward achieving his dream of playing in the NFL, trying out as a long snapper for both the Browns and Cincinnati Bengals at their rookie minicamps after going unselected in April's NFL draft. Seme also plans to pursue a career in physical therapy, and will begin graduate school at the University of Dayton this fall if he is not on an NFL roster. LitlBuck, kujirakira and brodybuck21 like this. 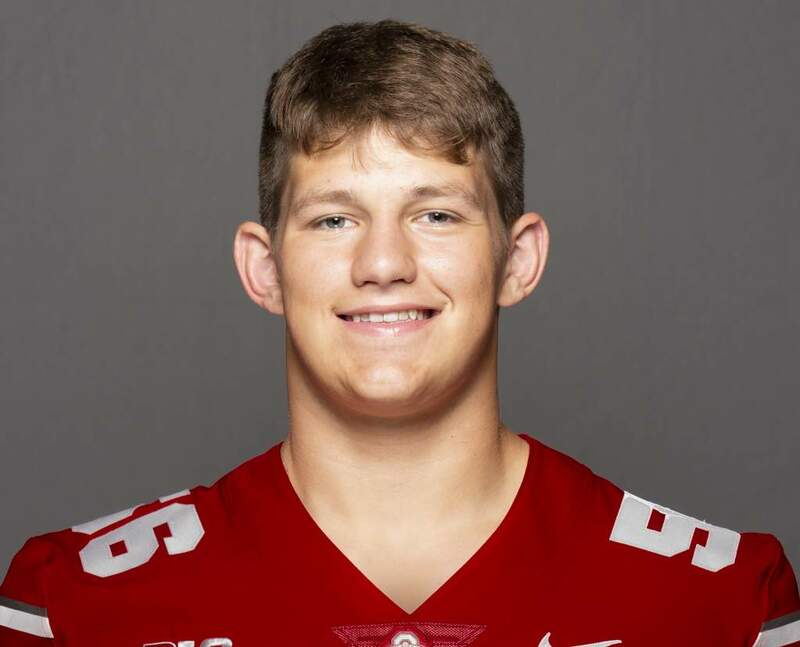 "Joe Burrow's long lost twin"
Lloyd McFarquhar joined the Ohio State football program in the summer of 2018 … two-way player for head coach Jeff Fink … all-conference defensive back as a junior and senior … also lined up at wide receiver … intercepted four passes and added 12 pass breakups as a senior to help Brush reached the Region 5 semifinals … named a Western Reserve Conference school-athlete … recipient of the Comier Award, given annually by the South Euclid Lyndhust School District to a senior football player in recognition of outstanding character, scholarship and service … three-year member of Brush’s track and field team … also wrestled as a freshman and sophomore … has six brothers and sisters … political science major … is the son of Timika Thomas and Lloyd McFarquhar Sr. Joined the Ohio State football program in the summer of 2018 … spent the 2017 season at Davenport University in Grand Rapids, Michigan … played for coach Arvie Crouch … Defensive Player of the Year and recording 92 tackles and eight TFLs as a senior … named first team All-Conference as a junior and senior … second team All-Tri State as a senior and third team All-Tri State as a junior … Academic All-Ohio as a sophomore … four-time all-conference track and field athlete … is the son of Tannezha Cotton and Eugene Wilburn … has five brothers and sisters. LitlBuck, zincfinger and brodybuck21 like this. 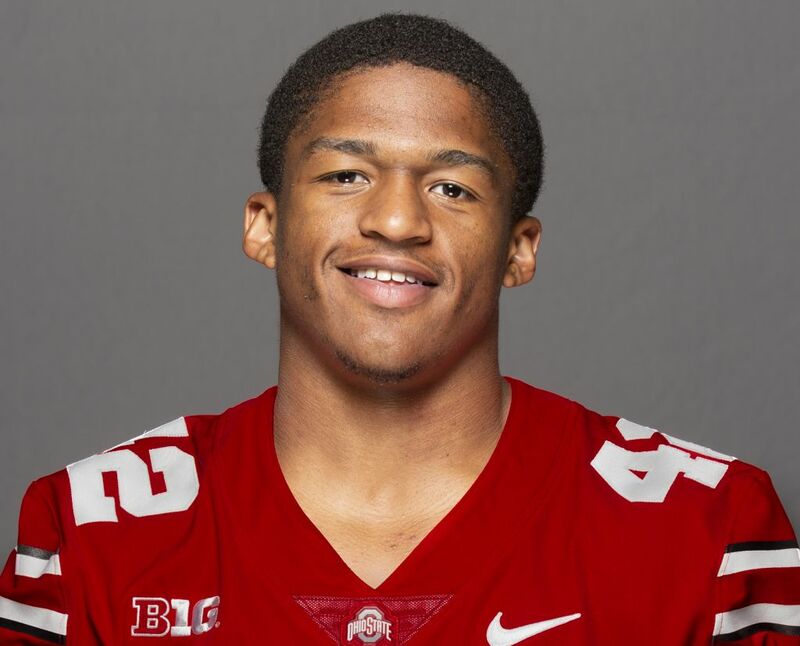 Alex Badine Jr. joined the Ohio State football program in the summer of 2018 … started his college career at ASA College before transferring to Monroe for the 2017 season … made three tackles in four games last season for the Mustangs … four-year letterwinner in high school … also ran track for two years … majoring in sport industry. Joined the Ohio State football program in the fall of 2018 … two-year member of the football team at St. Mary Central Catholic High School for head coach Ryan Wilzel … team captain and an all-conference selection … All-area selection by the Toledo Blade … four-year varsity letterwinner as a wrestler … team captain and academic All-Ohio … state finalist as a senior at 220 pounds … was 44-5 on the season … was St. Mary’s first state finalist in over a decade … is the son of Tim and Stacey Kuhn … has an older sister, Allison. LitlBuck, brodybuck21 and zincfinger like this. Joined the Ohio State football program in the summer of 2018 … four-year member of the football and baseball teams at Dublin Jerome … earned first-team All-OCC honors as a senior in 2017 after rushing for 982 and averaging better than seven yards per carry for head coach Bob Gecewich … scored nine touchdowns … had 25 tackles and a sack from his strong safety position … second team all-district and a Super 25 Player of the Year finalist … on the baseball diamond, led Jerome in batting average and stolen bases during his junior and senior seasons … earned all-state, all-district and all-conference honors … is the son of Jeff and Amy Cope. Owen Fankhauser joined the Ohio State football program in the spring of 2018 … he was the starting cornerback and slot receiver for head coach Mark Nori and Stow-Munroe … led his team to the OHSAA Division I state semifinals as a senior … had a key interception against Olentangy in the regional final to help Stow to a 38-16 victory … also was a two-year captain on the baseball diamond … Stow reached the Elite Eight during his senior season … hit a two-run home run to defeat previously undefeated Jackson in the DI regional semifinal … played basketball as a freshman and soccer as a sophomore … is majoring in education … he is the son of Jeff and Babette Fankhauser. Ohio State just added another scholarship offensive lineman, but this one wasn’t a new recruit. 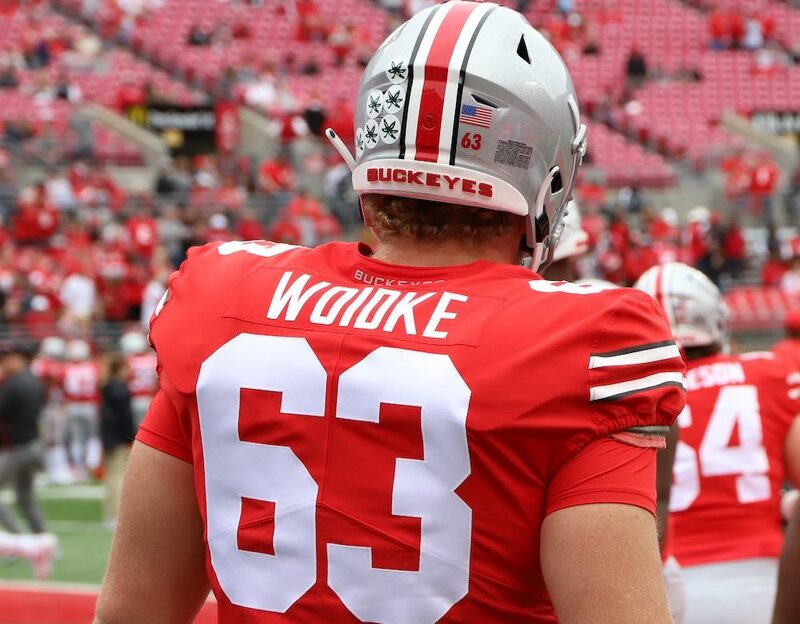 Kevin Woidke, who walked on to the team in 2015 is now on scholarship for his final season as a Buckeye. Woidke earned a letter while playing in 12 games in 2017. He saw extended action again in 2018 on the extra point and field goal units. He also earned Academic All-Big Ten honors in 2017 and 2018, and was named an OSU scholar-athlete in the first three years he played with the Buckeyes. Woidke is a Cleveland native who played high school football with former OSU DT Dre’Mont Jones at Cleveland St. Ignatius. OSU hasn’t officially announced the news, but the program’s Director of On-Campus Recruiting, Tori Magers, tweeted it out on Monday night. Bestbuck36, Lurker11, brodybuck21 and 1 other person like this.